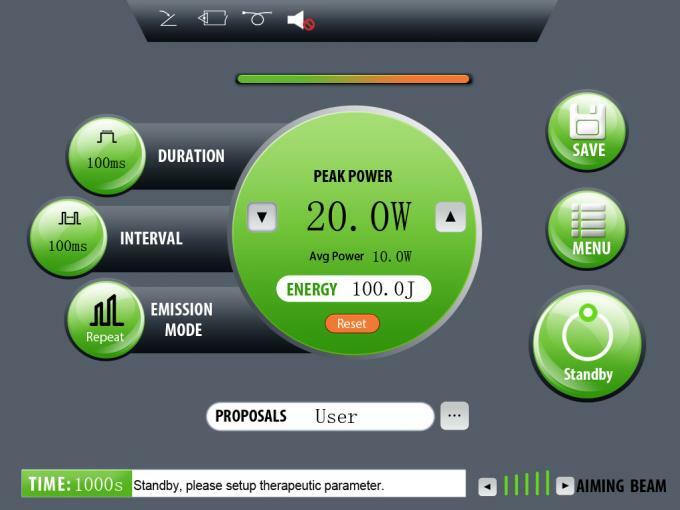 How the Petlas 30watts 980nm works for lipolysis? The procedures were performed in the hospital, and the type of anesthesia was general, regional (epidural), or local with sedation, according to the extent and indications of each case. using a 0.9% saline solution with a temperature of around 4°C, and 1:500,000 epinephrine. The infiltration was performed preferably with the aid of a continuous pressure system at 150 mm Hg, provided by placing the reservoir solution with a cuff pressure drop, to allow a homogeneous distribution during infusion with a 2-mm-diameter needle. A uniform deposit was performed only in the deepest layer, parallel to the muscular plane, to avoid tunneling the fat tissue. The infused volume was equivalent to the estimated volume drawn from each region. This infiltration technique took 7 to 8 min to infuse 1 liter into each decubitus, an ade -quate period for vasoconstriction. 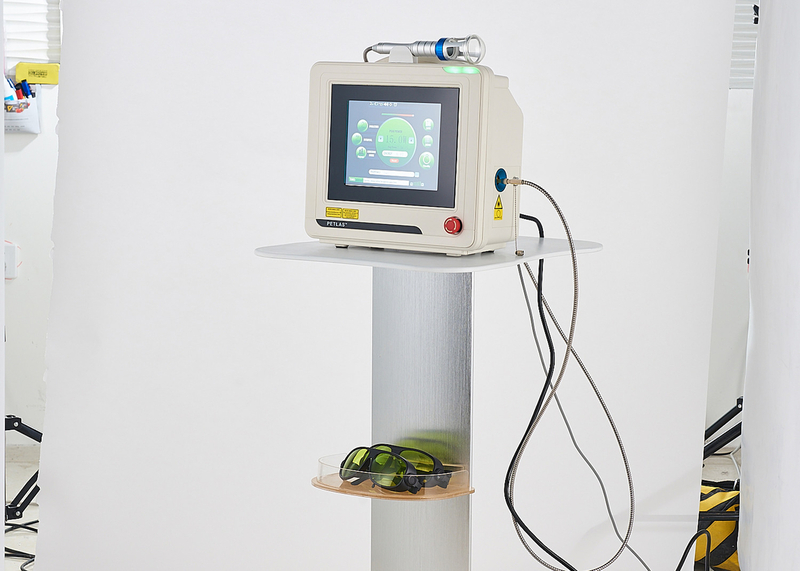 A 980-nm-wavelength diode laser equipment was used in all treatments. 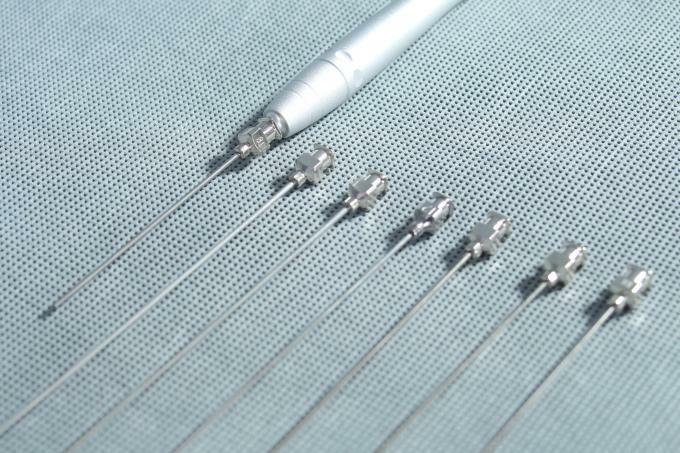 A 2-mm-diameter rigid cannula with a 600-µm optical fiber was used to transfer energy to the tissues. The passage of the laser was initiated in the deep layers, with slow fan-shaped movements, at a rate of about 2.5 cm/s, from the incision, with application of back-and forth laser movements, always with the free control of the operator’s hand on the treated region to maintain the distance from the end of the fiber to the surface. At the end of the outward stroke of each passage, the fiber end was maintained at a safe distance from the skin, with the aid of a red light display, in order to avoid injury. After the passage of the annula into the deeper plane, passes were made with the same care in the middle plane, and then the more superficial plane to the skin surface. results confirm that the diode laser is a reliable option with good outcome for patients undergoing liposuction.